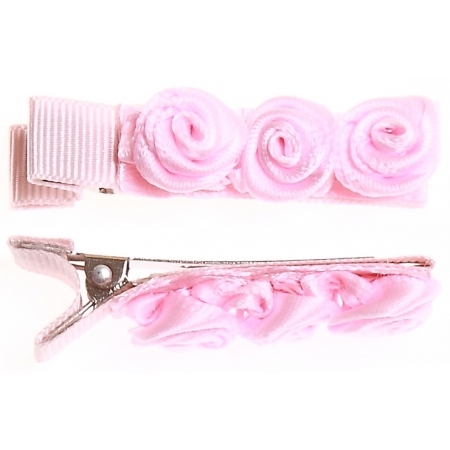 One pair of pink 3 small rose buds hair clips. Vey firm grip suitable for babies with fine or little hairs. Size approx 4.5cm length x 1cm width x 1cm height.